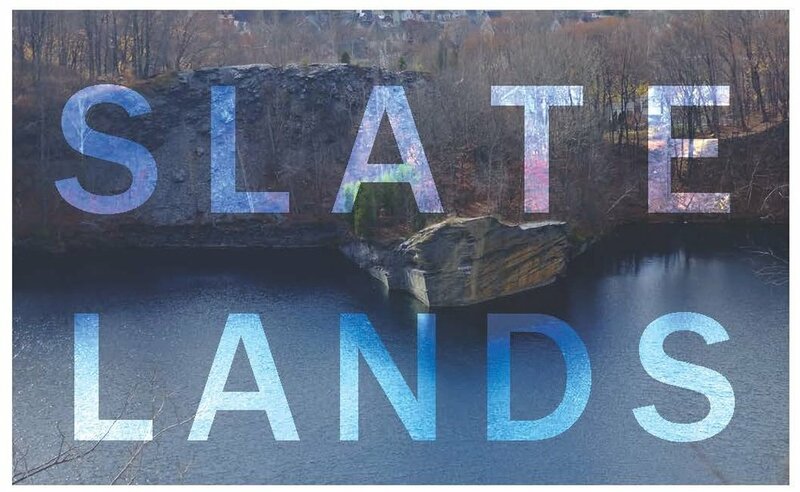 The work in the Slate Belt Futures exhibition forms a visual catalog of ideas for the Lehigh Valley Slate Belt, one of the most extraordinary places in the Northeast that few people know about--yet. 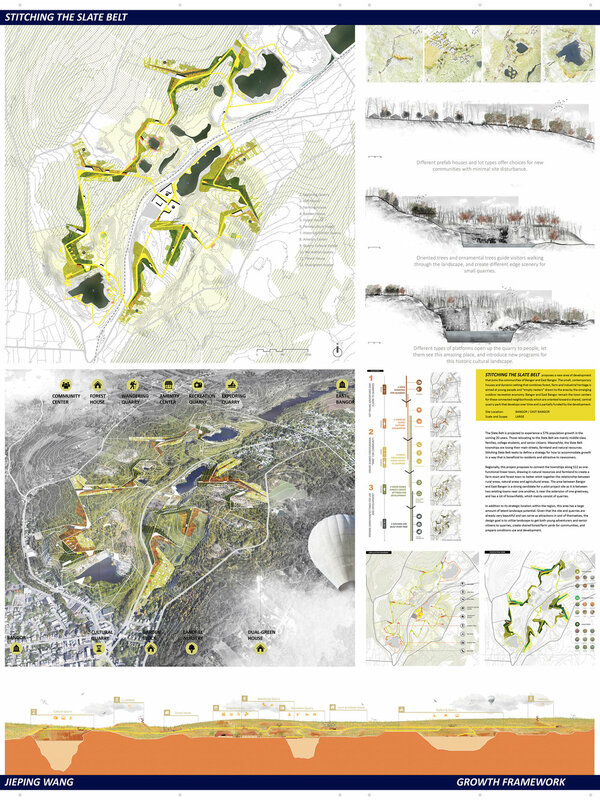 These ideas were generated by landscape architecture graduate students at the University of Pennsylvania between September 2015 and December 2016. These young designers worked through energetic dialog with many community leaders, local and regional planners and thinkers, and teachers at PennDesign. The ideas presented here are not a set of coordinated recommendations. They represent different takes on the best opportunities for design, for change and for economic development by leveraging the unique assets of the Slate Belt. The projects visualize a variety of alternative futures to stimulate discussion in the early stages of your long-term comprehensive planning process. Several options were developed for each town. Some projects work at the scale of multiple towns, the Appalachian Trail or other Slate Belt geographies. As a body of work, these diverse ideas make a case for large-scale landscape design and nature-based placemaking as a means of transformation of this dynamic area. As landscape architects we use a variety of tools to understand a place and to test interventions at a variety of scales. We make models to understand the complex topographies of the quarries, and the ridges and valleys of the area. We map and diagram relationships; we make collages to consider means by which new atmospheres could be created. We draw plans and sections, and then we develop phasing diagrams to study how the development of large and complex projects might be sequenced. The work you see in the exhibition is a sample of design studies from selected projects, curated by the teaching team. Once the designer’s intentions are well visualized, it is easy for others to enter the work and debate the merits of the vision. We hope this exhibition initates a much longer term dialog about the big and small ideas that interest the people of the Slate Lands.